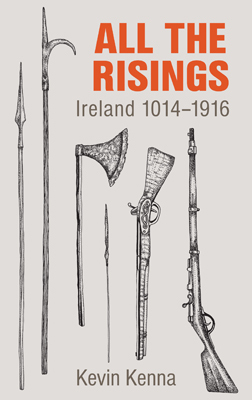 All The Risings brings together the nine principal occasions in Ireland’s history on which resistance was made to the dominance of those who controlled the country’s destiny. The book takes us from the period of the Battle of Clontarf in Dublin in the year 1014, when Brian Boru’s forces took on the Viking invaders, up to the time in 1949 when Ireland, then styled the ‘Irish Free State’, was declared a republic. Along the way we learn of such crucial conflicts as the Battle of the Boyne, the 1798 Rebellion and, of course, the 1916 rising, which directly contributed to the setting up of an independent Irish parliament. Using an easily assimilated style, All the Risings gives an excellent overview of the main events that have shaped Ireland’s history, their main players and impact. A wealth of illustrations and photos illuminates each chapter: and poems, prose, letter extracts and newspaper articles provide content and reaction to the events.